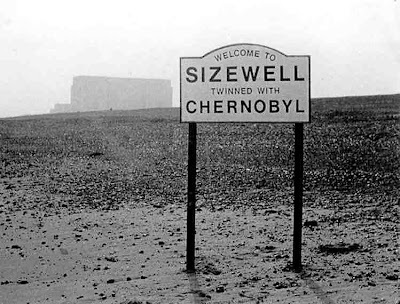 'Sizewell - twinned with Chernobyl'. Photo of a sign outside Britains' most hated Nuclear power station. Don't know the full story behind this one.